FEUP’s Classical Orchestra will act on the first day of MATERIAIS 2015, right after the Opening Ceremony. 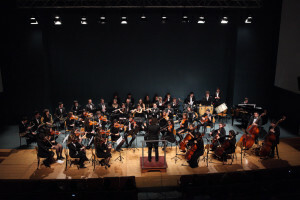 The Faculty of Engineering of the University of Porto (FEUP) Classical Orchestra is a project from FEUP’s Cultural Commission, and is mostly attended by FEUP community members (students, technicians, teachers, researchers). The artistic direction of the project is entrusted to the conductor José Eduardo Gomes. 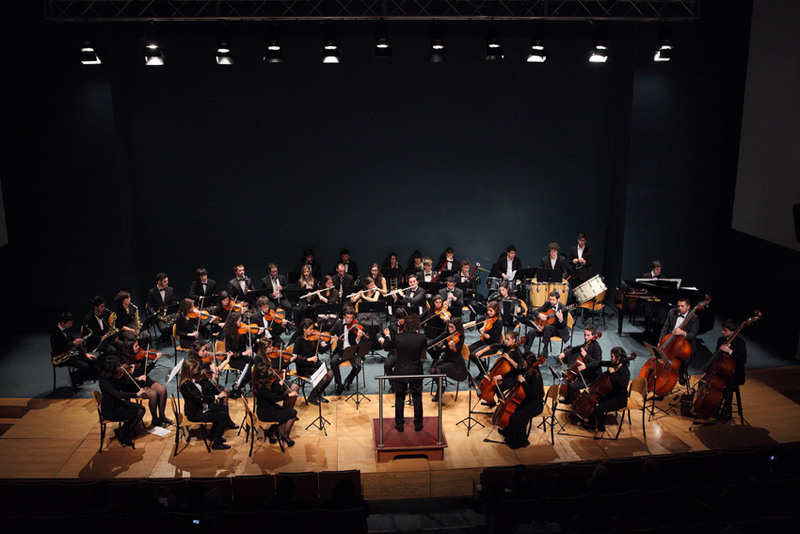 The presentation concert of the FEUP’s Classical Orchestra took place in December 2013. José Eduardo Gomes he’s graduated from the Porto Music University with a Soloist Degree in Clarinet, with Professor António Saiote. He was also a student of Professor Thomas Friedli. He is a founder member of Vintage Quartet. As far as his studies in conducting are concerned he is a graduated for an Orchestra Conducting degree at the Haute École de Musique de Genève, with mention Très Bien, Geneva, Switzerland, under the guidance of Professor Laurent Gay, and also studied Choir Conducting, with Professor Celso Antunes. From September 2008 to June 2011, he was the Musical Director of the Chamber Orchestra of Carouge in Geneva, Switzerland. He’s a regular guest conductor in several Orchestras and develops an intense pedagogical activity with young orchestras as well. Recently, he was assistant of Maestro Peter Eötvös, in a project with the Oporto Symphony Orchestra Casa da Música. Nowadays, he’s CPO Choir Principal Conductor, Principal Conductor of Orchestra Classic FEUP. The Magic Flute K. 620, is one of the most famous operas by Wolfgang Amadeus Mozart to a German libretto by Emanuel Schikaneder. It’s an opera which has the characteristic of being to sing in the form of Singspiel, a form of German-language music drama, now regarded as a genre of opera, that included both singing and spoken dialogue. The work was premiered on 30 September 1791 at Schikaneder’s theatre, the Freihaus-Theater auf der Wieden in Vienna. Valse triste, Op. 44, No. 1, is a short orchestral work by the Finnish composer Jean Sibelius. It was originally part of the incidental music he composed for his brother-in-law Arvid Järnefelt’s 1903 play Kuolema (Death), but is far better known as a separate concert piece. The Carmen Suites are two suites of orchestral music drawn from the music of Georges Bizet’s 1875 opera Carmen and compiled posthumously by his friend Ernest Guiraud. They adhere very closely to Bizet’s orchestration.This first Suite contains the famous Aragonaise, used by some other composers, for example by Pablo de Sarasate, for his Carmen Fantasy to solo violin and orchestra. In 1902, the Austro-Hungarian composer Franz Lehár, composed one of his most famous waltzes. He is mainly known for his operettas, of which the most successful and best known is The Merry Widow (Die lustige Witwe). The “Waltz of the Flowers” (1892) is a piece of orchestral music from the second act of The Nutcracker, a ballet composed by Tchaikovsky. Tchaikovsky told his fellow musicians he was working on a “fantastic” ballet called The Nutcracker: “It’s awfully fun to write a march for tin soldiers, a waltz of the flowers, etc.” The waltz is also the last number in his Nutcracker Suite.